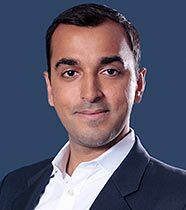 Mr. Arora is part of the Structured Credit Investment team and is responsible for asset sourcing, investment analysis and executing certain structured credit investment mandates. Mr. Arora is also involved in the company’s business development efforts. Mr. Arora joined DFG investment Advisers in 2008, prior to which he had worked in the field of Information Theory (Signal Processing Department, IIT Madras, India) and Automated Speech Recognition (Pattern Recognition Department, University of Erlangen, Germany). Mr. Arora received a graduate degree in Mathematics and Finance from New York University in 2008 and an undergraduate degree in Electrical Engineering from Indian Institute of Technology, Madras in 2007.